Think powerful predators, and snails and sea sponges probably don’t come to mind. These slow moving or sessile animals don’t have the talons and teeth of falcons or tigers, but they do have impressive arsenals of chemical weapons for defending themselves and capturing prey. And the chemicals they produce might just be allies in the search for pharmaceuticals that help humans. Here are five organisms whose survival strategies may also save us. Prey swimming by the magician’s cone snail (Conus magus) face the possibility of death by harpoon. The venom-tipped harpoon—actually a hollow tooth at the end of the snail’s proboscis—injects venom that assaults the prey’s nervous system, causing paralysis. One of the proteins in the venom has been replicated synthetically as Ziconotide, a powerful analgesic that treats unrelenting pain and is 1,000 times more potent than morphine. It turns out that all of the 700 or so known species of cone snails pack a punch. Like well-stocked bars for research “mixologists,” each species can produce as many as 200 toxic compounds, called conotoxins, many with medical applications still waiting to be discovered. Taking a deep breath is something most people take for granted, but for people with cystic fibrosis, the overproduction of a thick, sticky mucus can cause deadly bacterial infections of the lungs, leaving them struggling for air. Relief may come from Laminaria hyperborea, a kelp that forms underwater forests in Europe’s cold temperate seas. Alginate, a type of carbohydrate, provides structural rigidity to the kelp, but it also binds to calcium. This capacity is good news for people with cystic fibrosis. A pharmaceutical generated from the alginate moderates the calcium in the thick mucus and helps to dissolve the suffocating goo. Predators avoid chomping on a mangrove tunicate (Ecteinascidia turbinata) found in the Gulf of Mexico and adjacent Atlantic waters, because it contains chemicals that taste nasty. But researchers have found that one of the compounds, ecteinascidin-743, also discourages the growth of certain human cancers. Its molecules attach to sequences in a tumor’s DNA, which causes changes in gene expression, hindering the growth of cancer cells. Scientists don’t fully understand how the chemical works, but they do know that its anti-tumor action is effective when applied to sarcomas and osteosarcomas. Ecteinascidin-743 is now produced synthetically to control advanced cancers in bones, muscles, nerves, cartilage, and connective tissues such as tendons. Stuck on rocks and the ocean floor, sea sponges may look inert, but, in reality, they’re like living pharmaceutical labs and use complex chemistry to fabricate substances that deter predators. Chemicals isolated in the Caribbean sponge (Tectitethya crypta) led to an anti-leukemia drug approved in 1969 and, in the late 1980s, to the first medicine approved for treating HIV. The Japanese sponge Halichondria okadai yielded a breakthrough chemical in 1985 that stopped cancer cells from dividing. But deriving just 3 milligrams of the compound halichondrin B required 10 kilograms of sponge, and efforts to develop a synthetic analog took the next 13 years. Today, the drug offers valuable extra time to women who are fighting triple negative breast cancer, an especially fatal subtype of the disease. As soon as it is born, the Hawaiian bobtail squid (Euprymna scolopes) must lure certain luminous marine bacteria into its body in order to survive. In 2013, scientists discovered that it does so using chemical cues. The squid advertises its body as a safe habitat and guides the bacteria inside a specific organ. It then produces a cocktail of compounds that doesn’t harm its guests but does deter other microbes. At birth, humans likewise need to select for beneficial bacteria. While it seems that this process should occur naturally, many diseases, including obesity, may be linked to bacterial choices gone awry. Understanding how the squid attracts microbial roommates has helped researchers develop reliably helpful “microbe medicines,” including more effective probiotics. Based on the Island of Hawaii, Sophia V. Schweitzer is an independent science writer focusing on climate change, energy, and the environment. Her work has appeared in numerous publications including Ensia, Yale Environment360, Frontiers in Ecology, Pacific Standard, and Wired. She is the author of Big Island Journey and several other books. 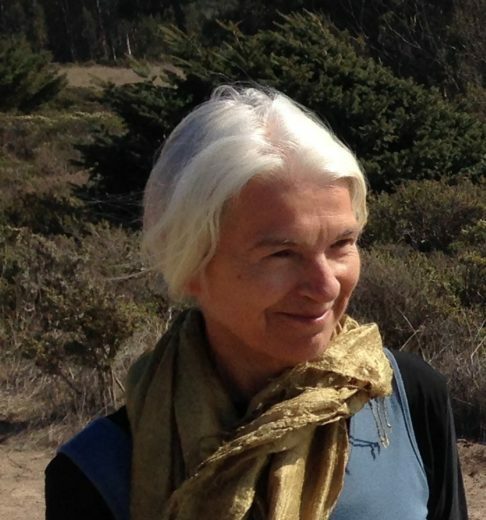 Cite this Article: Sophia Schweitzer “Ocean Rx,” Hakai Magazine, Nov 23, 2015, accessed April 23rd, 2019, https://www.hakaimagazine.com/article-short/ocean-rx/.